I am nerd. Hear me roar. oh sup guys THIS IS MY JOURNAL. WELCOME TO FIZZYCAT'S CARD SHOPPE! Prices do NOT include postage and fees. They are charged seperately. PLEASE DO NOT PM ME OFFERS. I will only count your offer/order if you post in the thread. due to certain circumstances ALL orders over $50 need to be sent tracked unless I've dealt with you before, which is a AROUND $7 shipping to the US! Please keep this in mind! 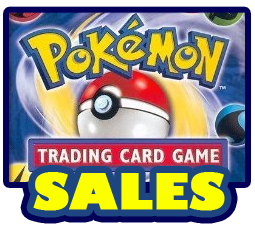 PLEASE NOTE I'm not interested in buying/trading if you only have 3-4 commons and uncommons or non-holo trainers. I value each common and uncommon/non-holo trainer at around 10c-15c each. heya! final wishlist guys B: this is for my TCG decks! I will trade well for these! I will buy or trade for anything on here if the price is reasonable! PLEASE READ ALL DETAILS CONCERNING CUSTOMS! THANK YOU! PEOPLE WHO PAY IMMEDIATELY OR GIVE ME AN ESTIMATED PAYMENT DATE TAKE PRIORITY! there are FIVE slots open for these! ( direct sale items!Collapse ) SOLD! CARD SHOP IS NOW CLOSED!